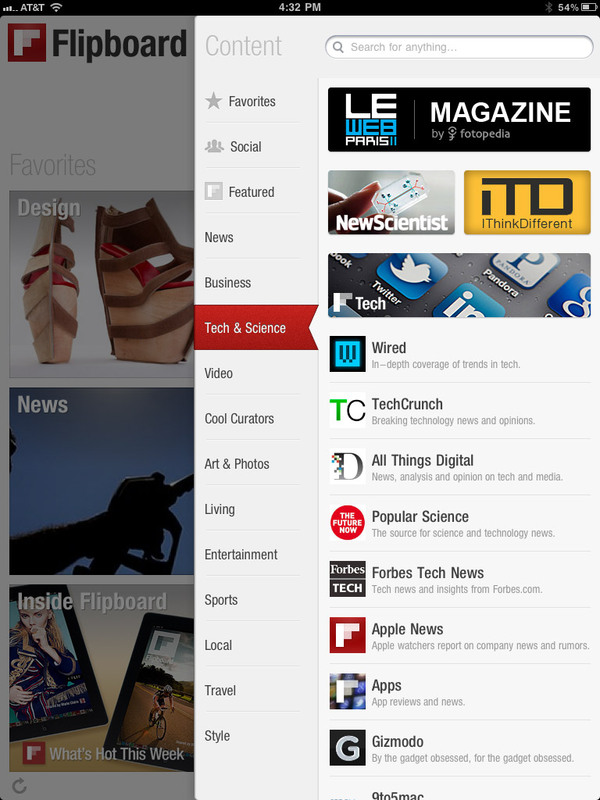 In what is a first for Flipboard, it is launching a magazine in conjunction with Fotopedia to cover everything LeWeb. 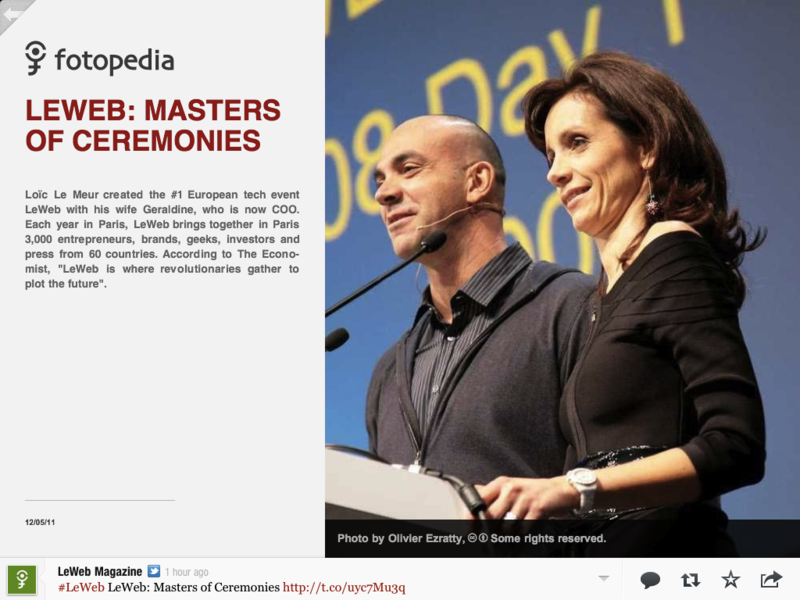 The magazine will be available in Flipboard for one week only and will contain live reporting updates from LeWeb ’11 in Paris. The magazine neatly follows the conventions of the Flipboard interface, while incorporating the clean, image-centric layout of Fotopedia’s apps. The magazine will present LeWeb as it happens, with 7 photographers on the ground, updating the whole magazine up to 5x a day. 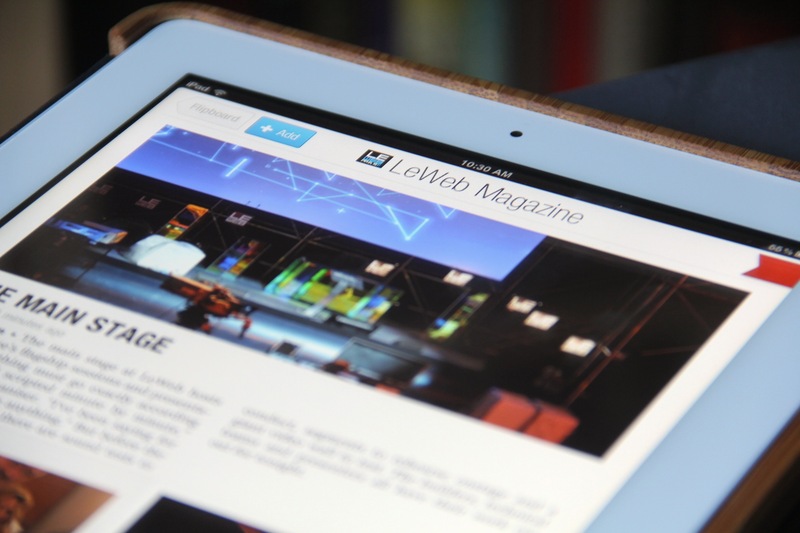 The magazine will cover the fun moments, parties, quotes and more, giving you the LeWeb experience as if you were there. Christophe Daligault, the SVP of Fotopedia told me that the goal wasn’t to reproduce news that would undoubtedly be presented on tech sites like TNW, but instead to act as a passport for those that couldn’t be at the conference, working as ‘People magazine for Tech’, rather than a news digest. The magazine will have a lifespan just days after the event is over and can be viewed inside the Flipboard app, at the Twitter feed @lewebmagazine and at the Fotopedia website. We’re fans of the Fotopedia apps here at TNW, the North Korea app wowed us a couple of months ago. Fotopedia told us that they have passed 1M new downloads in the last three weeks and that their apps are now getting over 100,000 visits and 3M page views per day. Not bad for a platform that is just over a year old. 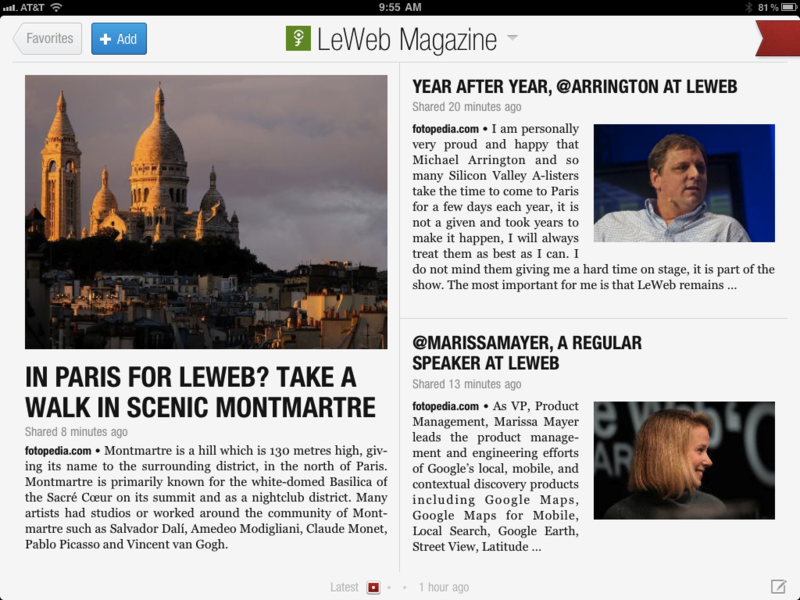 You can check out LeWeb Magazine by grabbing Flipboard for your iPad here. For more coverage of LeWeb 2011, stay tuned to TNW, we’ll have all of the tech coverage that you won’t get in the magazine here, like the startups set to compete this year.